Nearly thirty years after his death, Andrei Tarkovsky (many of whose films you can watch free online) continues to win devoted fans by what some describe as his still-unparalleled mastery of aesthetics. Not only do all his pictures -- and especially his later works like Solaris, Mirror, and Stalker -- present images of the deepest richness in a manner of the highest refinement, but in so doing they come out looking and feeling like no other films created before or since. So many cinephiles claim that one can identify their favorite director's work by only a single shot, but for Tarkovsky this boast actually seems to hold true (especially in the case of the nine-minute candle-carrying shot from Nostalghia). When we talk about Tarkovsky, we talk about aesthetics, whether we talk about his films, his Polaroid photos, or his posters. Not that Tarkovsky's perfectionism had him exercising total control over the one-sheets that advertise his films, nor did he actually command every visual detail of every frame of the films themselves. I would submit, however, that all who worked in the orbit of a Tarkovsky production, from cinematographers to set builders, right down to the graphic designers, entered his thoroughly realized and affecting aesthetic reality. 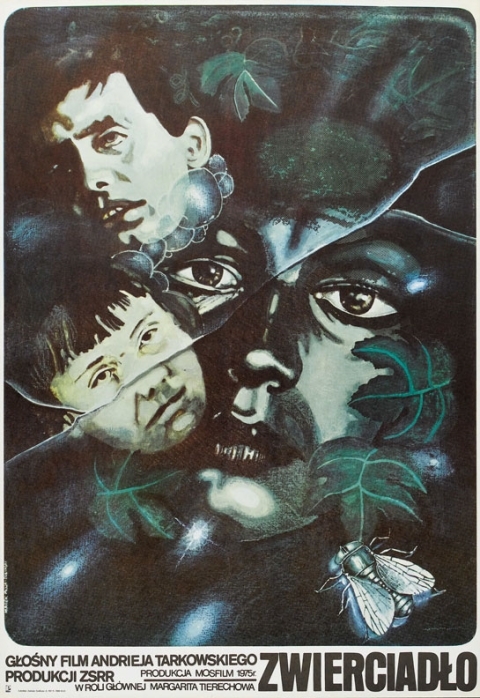 "Tarkovsky is one filmmaker for whom I’d gladly have posters that simply feature gorgeous images from his films (of which there are an unlimited supply)" writes Adrian Curry at MUBI, "but there are so many terrific illustrated posters that I thought I’d just feature my favorite for each film." 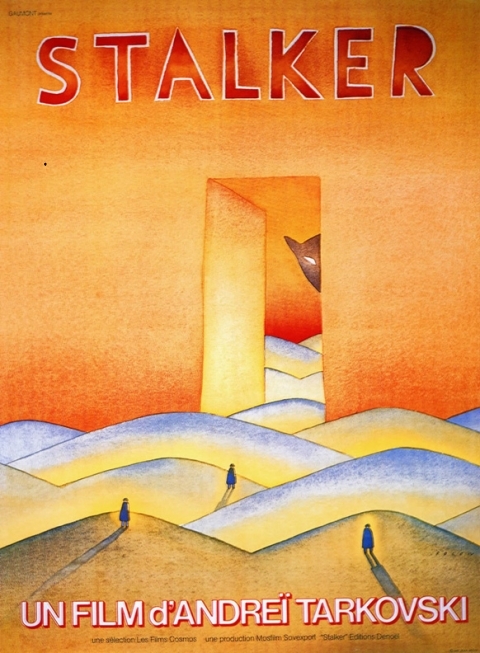 His selections include the French one for Stalker, the Polish one for Mirror (because you can never ignore Polish movie poster design), and the Russian one for The Sacrifice. It pays Tarkovsky one of the highest possible compliments: he created not only beauty, but works that inspire others to create beauty. 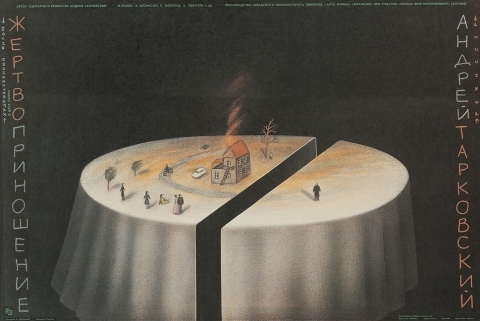 A collection of the international movie posters for each of Tarkovsky's major films can be found at Nostalghia.com.